The last ministry of Moses was the ministry of encouragement. The Lord told him, “Go and encourage Joshua.” It’s after that that the Lord took Moses into glory. 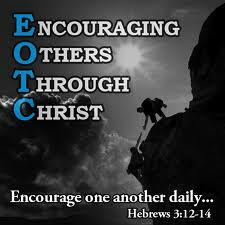 Similarly, the last ministry of Jesus was the ministry of encouragement. He told the penitent thief, “Today you will be with Me in Paradise.” What an encouragement that thief must have got ! Let us encourage others with the Word of God. Look at one of the last ministries of St. Paul. For forty days and forty nights they had no light, no sun, moon or stars—the ship they were in was caught in a tempest. Nobody could eat; everyone was discouraged. But in that moment of despair, Paul stood up before everyone. “Be of good cheer,” he said, “There stood by me this night the angel of God Whose I am, and Whom I serve.” He was able to encourage others because he knew God was on his side. Child of God, do you know that God is on your side? Then you can encourage others.